Energy Services from Lu+Smith ENGINEERS primarily involved Energy Modeling and Energy Audit performed for facility managers, building owners and similar stakeholders. Our energy auditing services range from a single building to multiple facilities for larger organizations either in a campus environment or with multiple, distant locations. We provide ASHRAE Level 1 through Level 3 energy audits and services can include Building Energy Star Certification. Energy audits and modeling help facilities managers and owners control or reduce energy costs by identifying energy efficiency losses and opportunities. Building energy modeling uses sophisticated tools and knowledge to simulate an entire year of energy use for a building or multiple structures. Modeling is often used as an initial step in a retrofit to assess energy use and help quantify the savings possible through a new design. 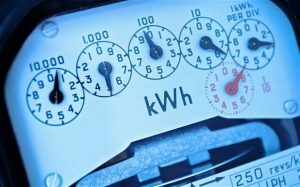 Building energy audits involve the inspection and analysis of current energy consumption in a structure, and recommendations to reduce energy use without negatively impacting the desired system(s) production.